It is fire safety month at the preschool at my real job. 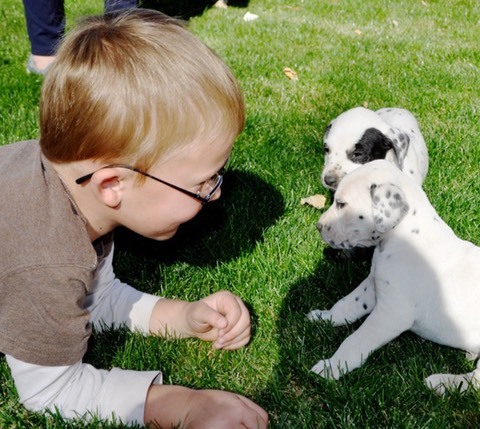 And really, what good would it be to have Dalmatian Puppies during fire safety month if I didn’t bring them in? 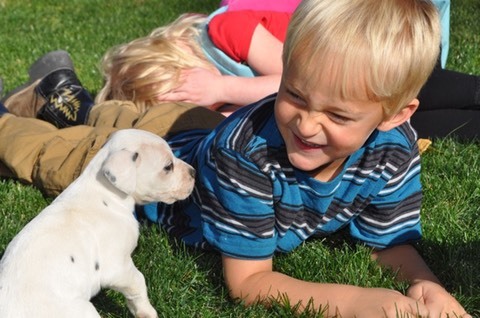 Kids and puppies just go hand-in-hand! 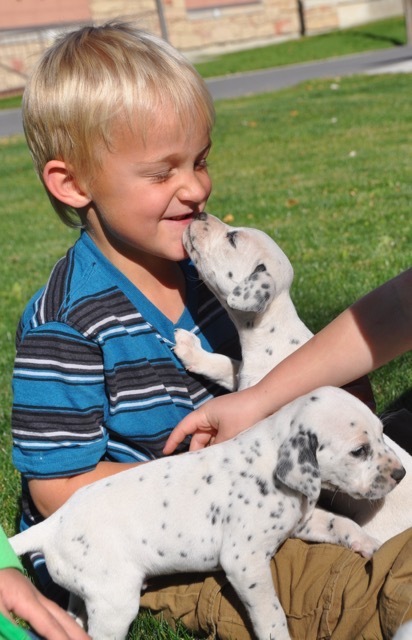 The preschoolers call the Dalmatians Dot-da-dogs. I think it is super cute! Bullseye is giving kisses here. Mac is giving kisses there. And a cuddle for Bronco. Thank you for joining me here at the barnyard! 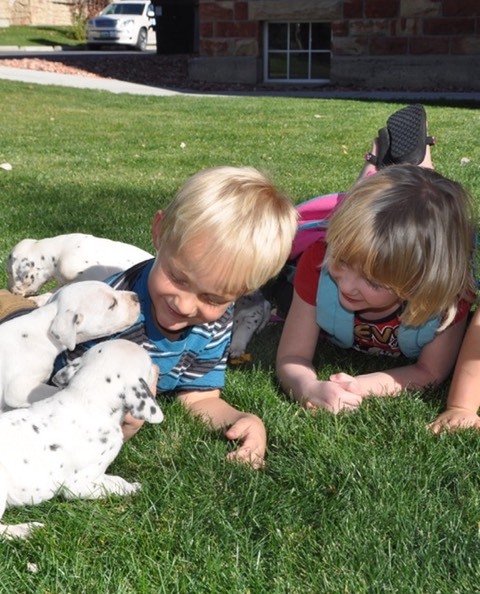 We have just a couple Dalmatian puppies available. Please click here to see the current list. 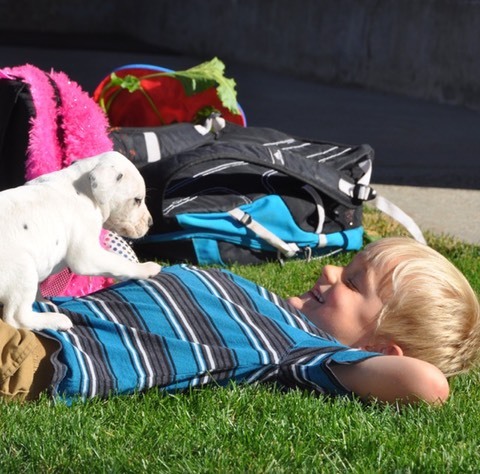 To see more adventures with preschoolers at the barnyard, click here. 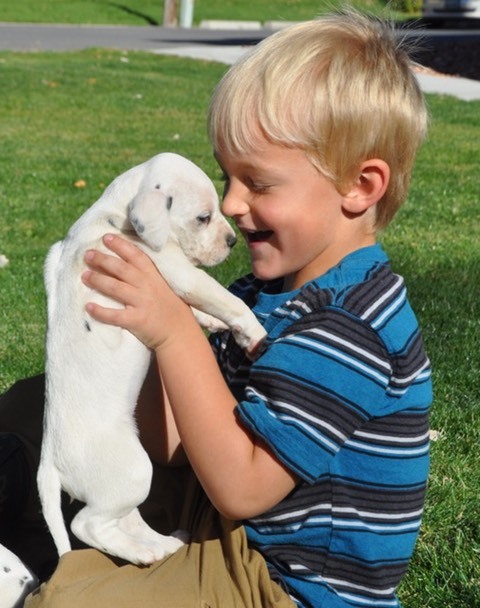 To see pictures of the miniature australian shepherd puppies click here. 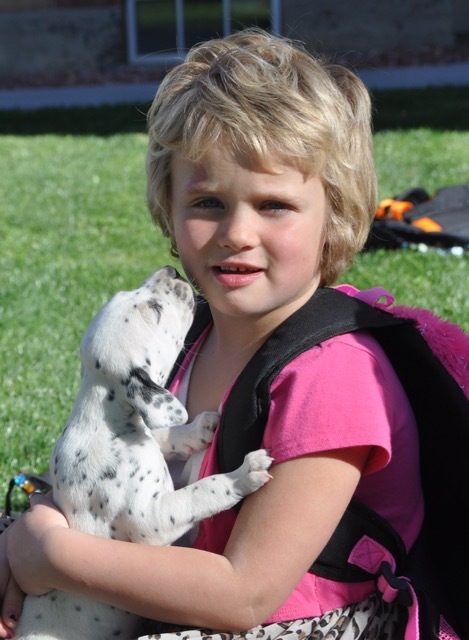 To visit CinnaBear the Mini-Pomer-Aussie click here. Feel free to explore my page and have fun! Thank you again for stopping by!